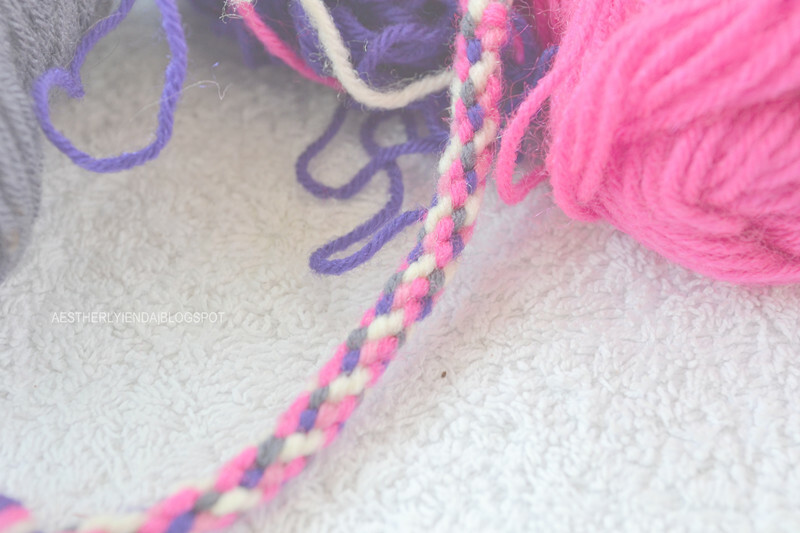 Today's tutorial will guide you on how to make your very own easy to do, woven friendship bracelet or whatever bracelet you may want to call it. Suits you. When I was 14, handmade bracelet was a hit among us youngsters. My friend was very good at it. She even made couples bracelet with their names on it. I thought that was awesome back then. I, on the other hand wasn't a very good crafter. I tend to forget the steps. I mixed up the strings and eventually give up. My mother was a great crafter by the way. She is the greatest crafter I have ever known. She learns just by looking at what other people are doing and eventually make one herself. 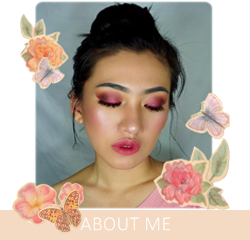 She have made baskets for our clothes, the flowers at the living room, fishtail braids on my sister's hair, knit the televisyen cover, sew us blankets, made pillows and bolsters along with the covers, she even made a small cute bag for me, skirts and everything! I don't think I inherit any of her skills though. My small brother did (I think). He knitted himself a hat few years back, and he only learned it once from my mother. But I am not going to lose to that. When I was 15, my cousin have this bracelet-maker which her mother bought at around RM5-7. It has this zodiac signs on it and a hole in the middle. 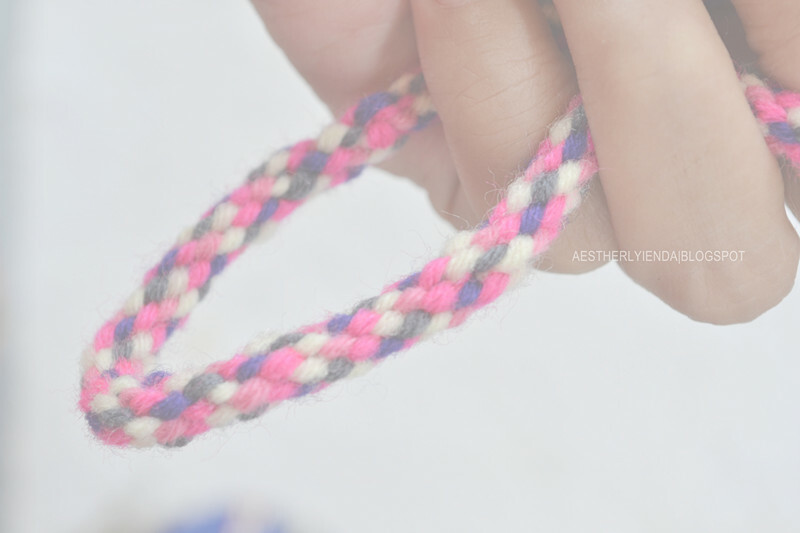 So, today we are going to cheat that RM5-7 bracelet-maker and make our own in less than the price her mother bought. lol. Lets both be creative and, make ourselves a nice bracelet then. You will need 7 thread with the color of your choice. Tie a knot at the end of the thread bundle. 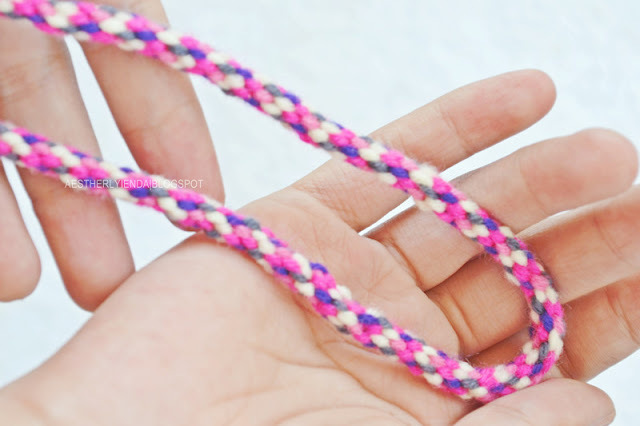 Pull your thread bundle through the hole in your cardboard with the knot right up next to the hole. Arrange each of your 7 strands, tucking them into the slits you made in the cardboard. There should be one slit left open. Remember to only move string 3 to the empty slit. Voila! This is the finish product. My bracelet looks thicker because I doubled the strings on each slit. 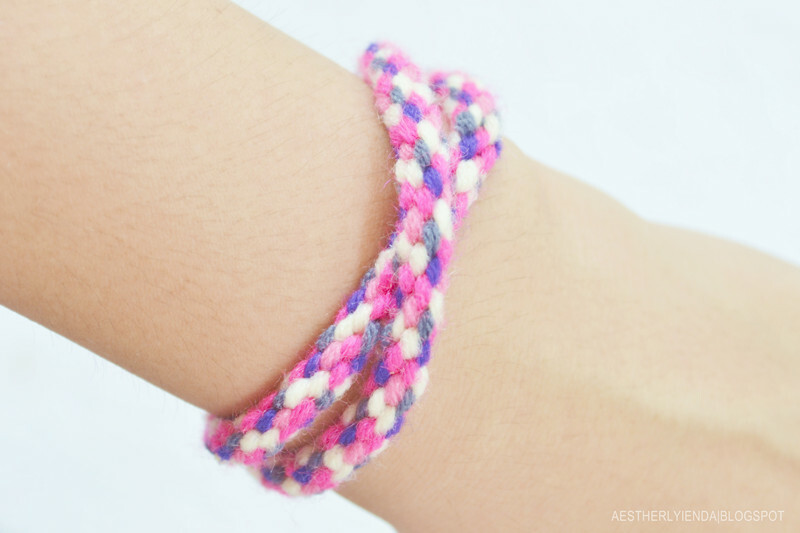 You may use pretty button or make yourself something to tie the bracelet together. I made a pompom from the left over thread bundle at the end and tuck it into the knot I made earlier. Another tutorial done. I am a happy girl. ....and of course, as you can see I didn't use it as a bracelet. Adds colors to my ukulele as it hangs there in the living room. Better then being sit on, on the sofa or left on the chair waiting to be knocked and fall on the floor. Another great idea, don't you think so? I also think its going to be an adorable add to my smash book or maybe a key chain? So... tribal-ish. Well, whatever you have in mind I wish you Good luck and Happy weaving! 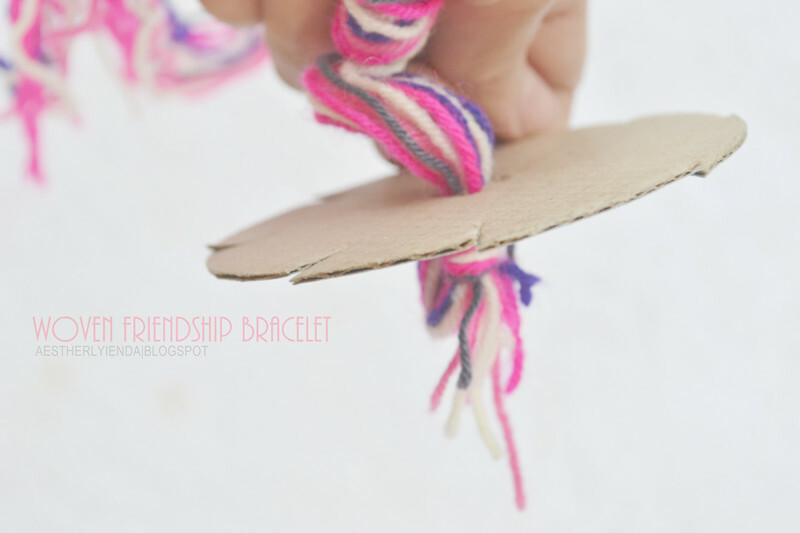 These are really cool bracelets, this is nice to see these ideas here thanks for share. They always make nice gifts.